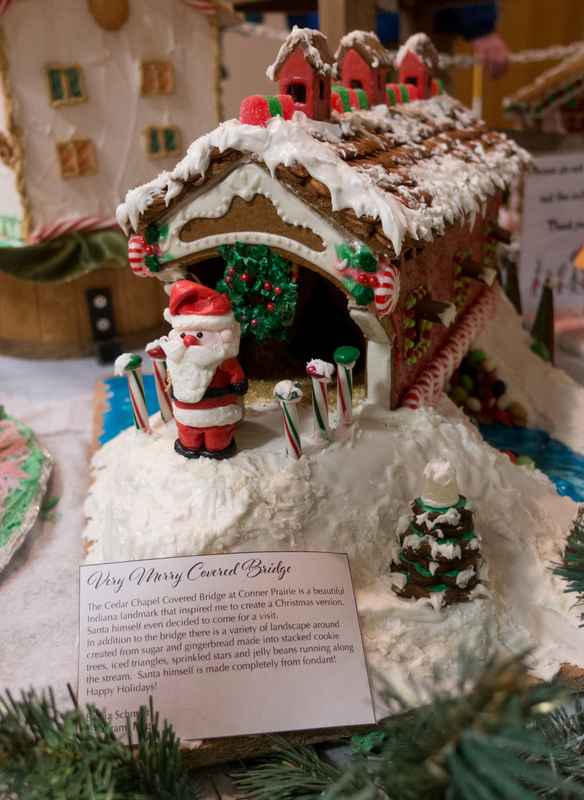 Looking for the perfect place to celebrate the holidays in the Midwest? 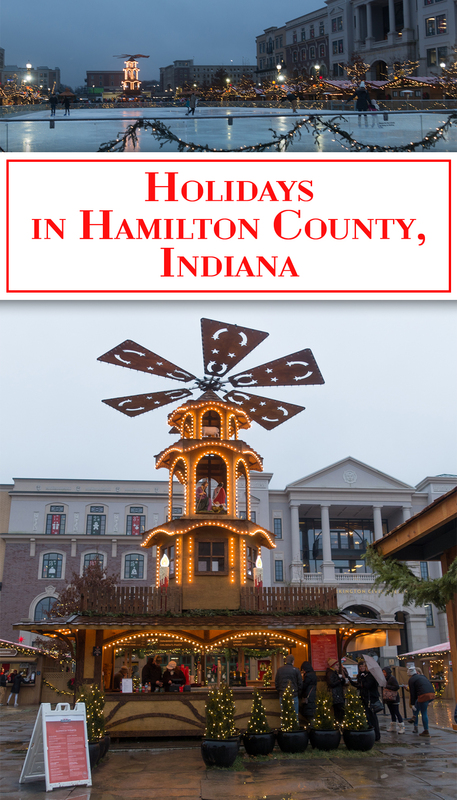 Celebrate the holidays in Hamilton County, Indiana. This year I really wanted to plan a short holiday getaway. I knew that visiting the traditional Christmas markets in Germany wasn’t going to happen this year. 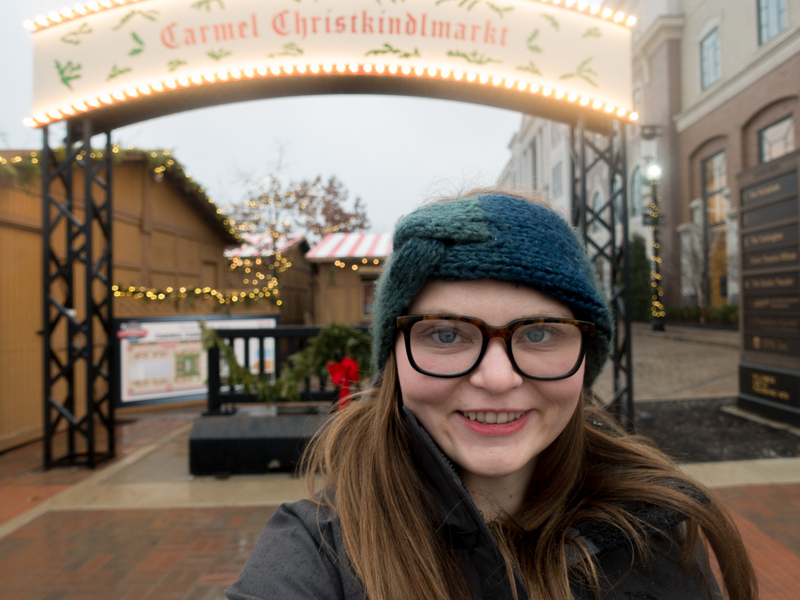 So when I came across the the Christkindlmarkt in Carmel, Indiana, I knew that it was the perfect place for a holiday getaway. 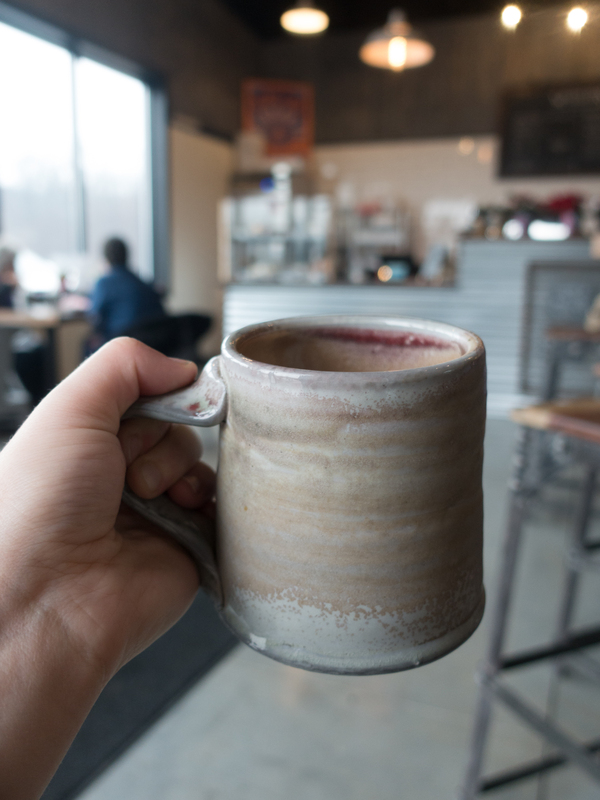 Hamilton County is located just north of Indianapolis, and just over 3 and half hours from my home of Grand Rapids—making it the perfect distance for a weekend getaway. 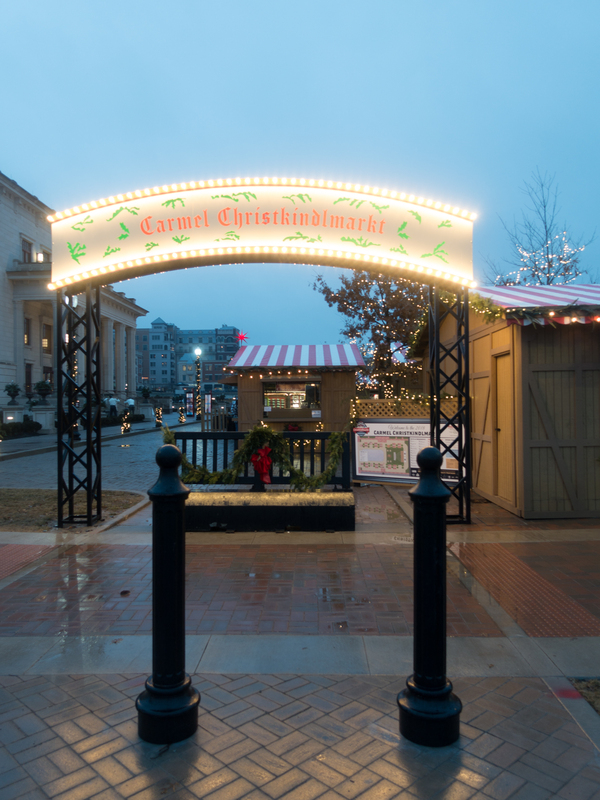 In Carmel, Indiana, you can find the traditional old world German market right in the heart of downtown Carmel. 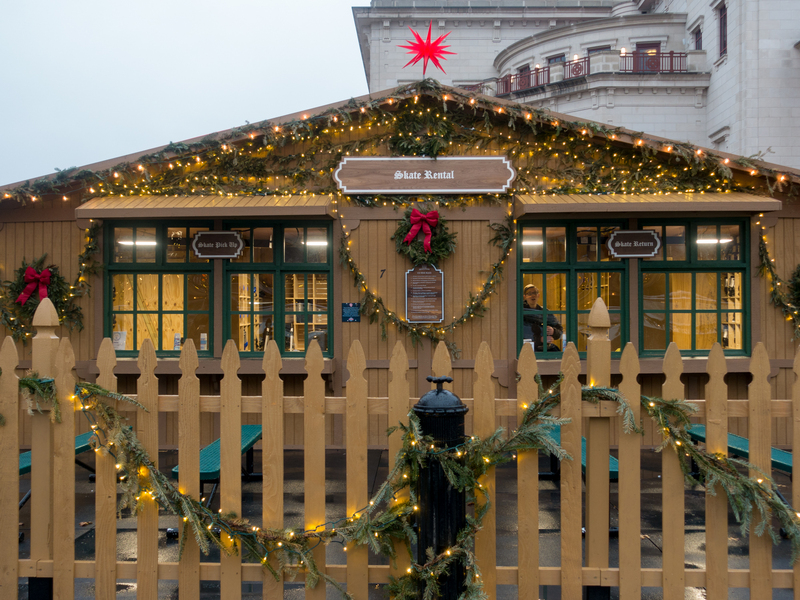 The Chirstkindlmarkt features a blend of traditional holiday food, drinks, and decor. Visiting different Christmas markets is one of my favorite holiday traditions. 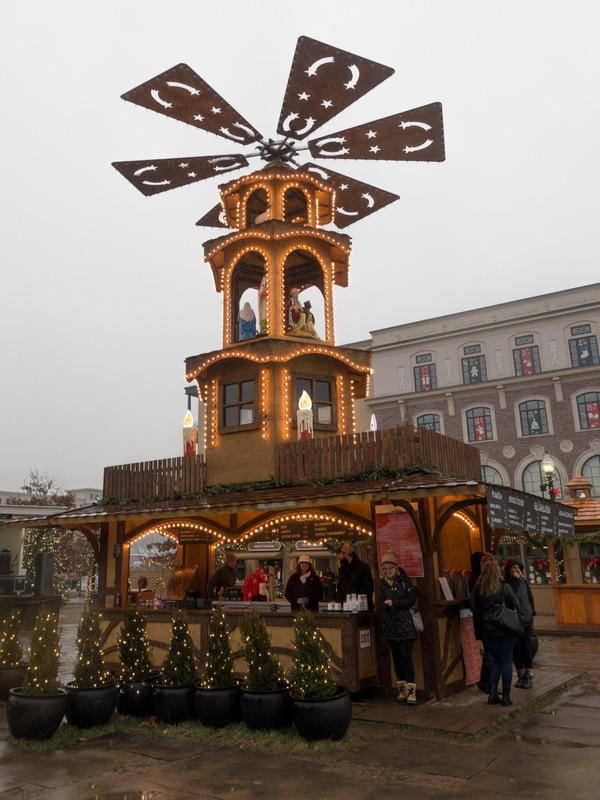 The Christmas market tradition goest all the way back to the middle ages in Germany. 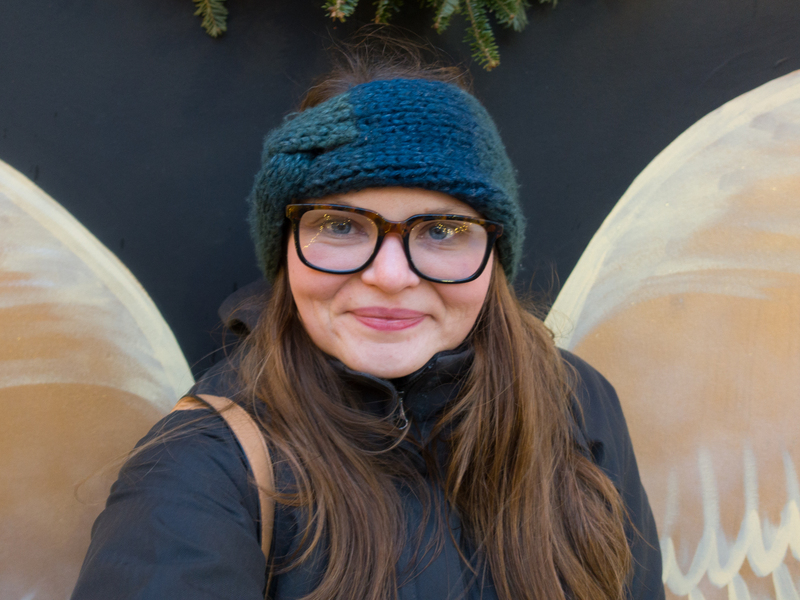 The name Christkindlmarkt translates to “Christ child market.” Visiting the traditional Christmas markets has become a tradition for many families, including mine! 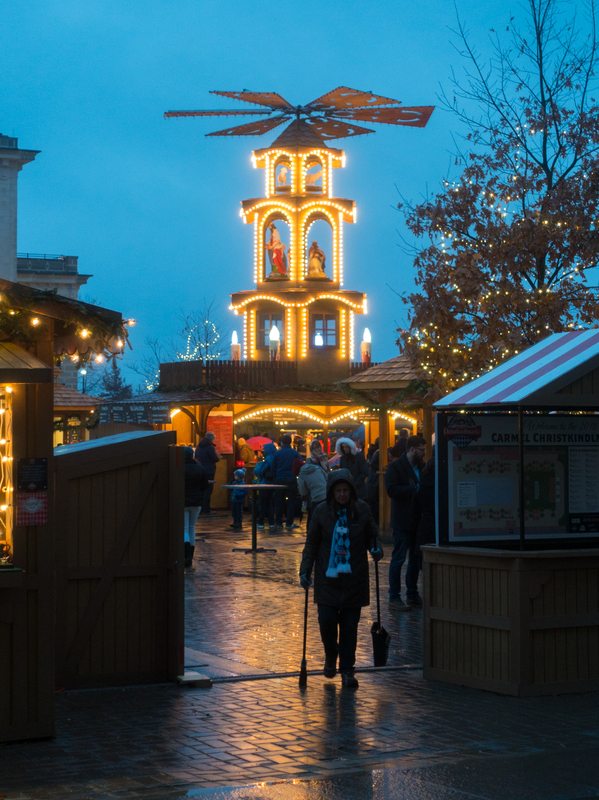 Visiting Chirstkindlmarkt is the perfect way to spend time with family and loved ones. 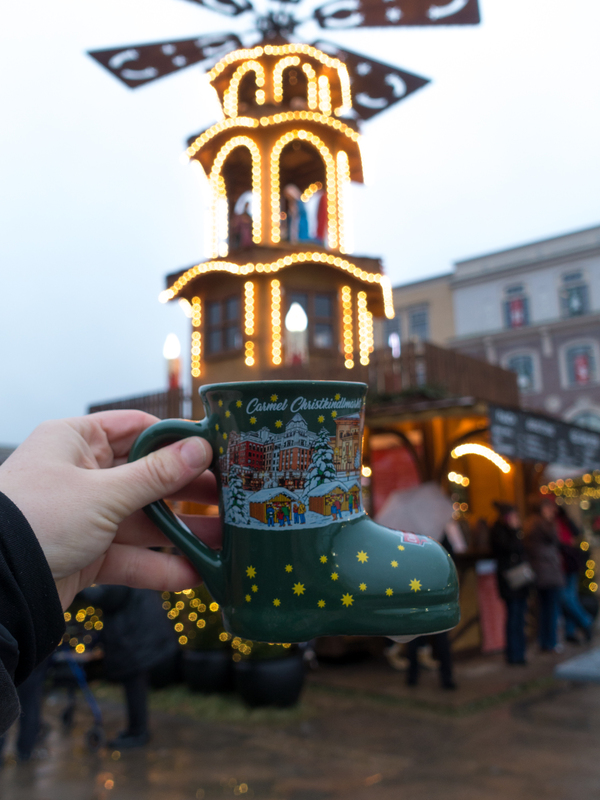 While strolling around the Christmas market, enjoy a mug of Gluhwein—a traditional hot mulled wine. 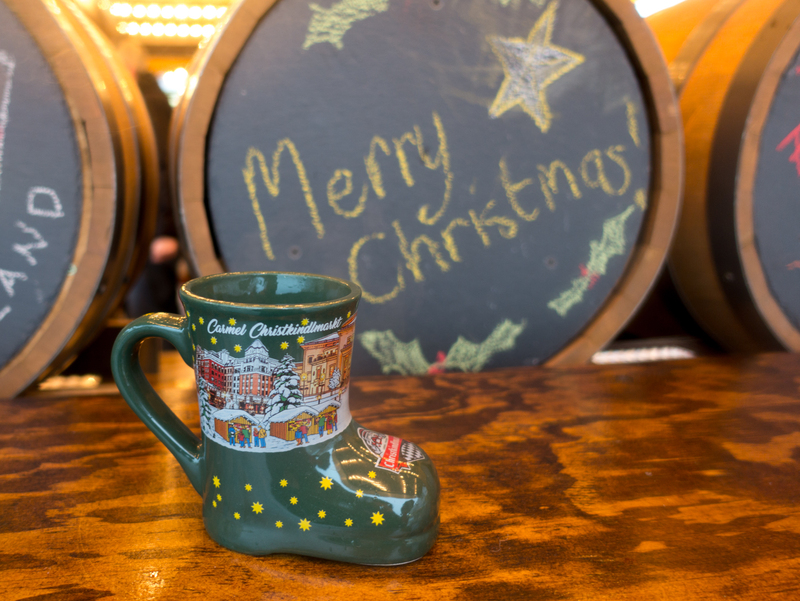 Be sure to purchase the Carmel Indiana Glühwein Mug. 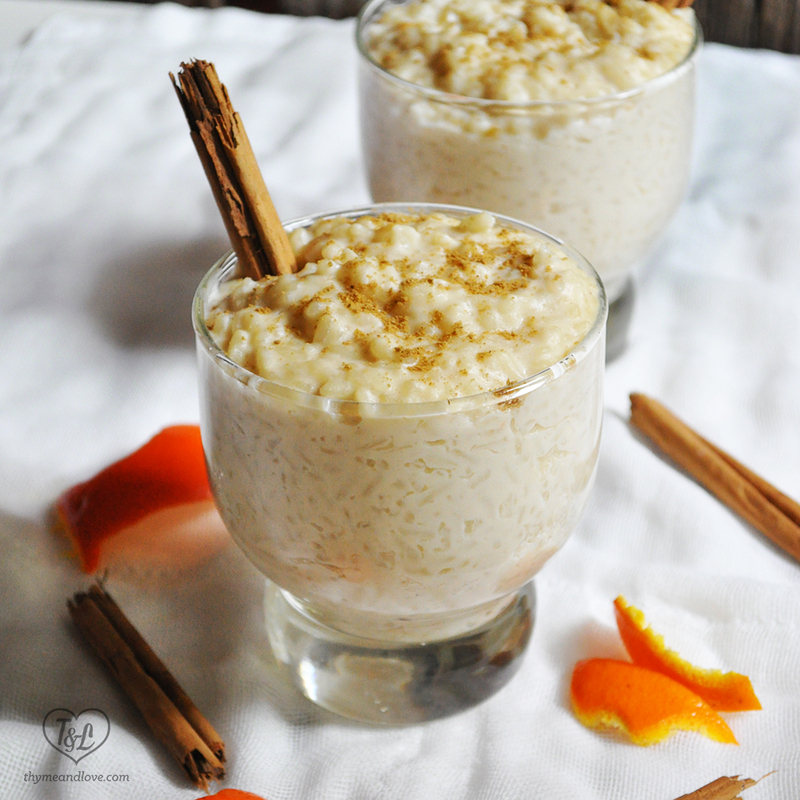 It makes for the perfect vessel to enjoy your Glühwein. Plus, it makes for the perfect souvenir. 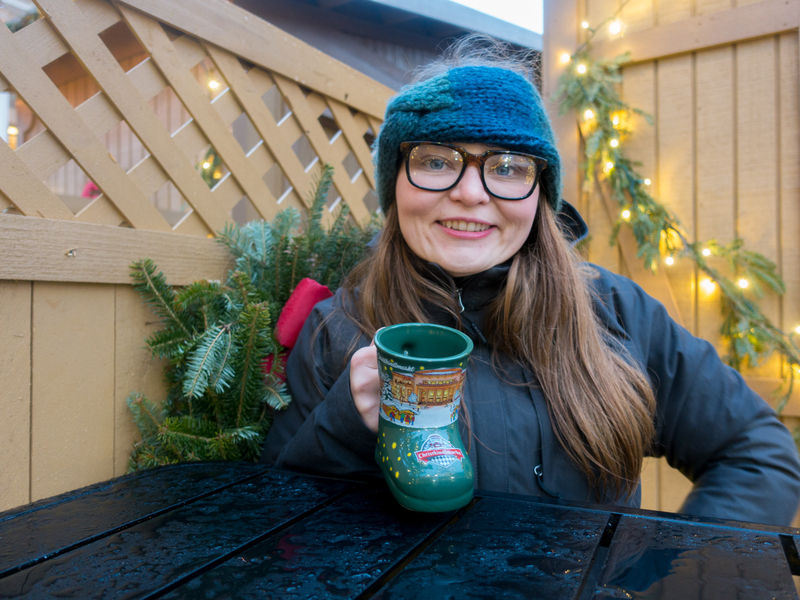 I loved drinking my mug of Glühwein while strolling through the market. 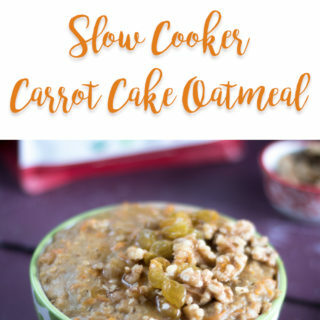 Such the perfect way to celebrate the holidays. 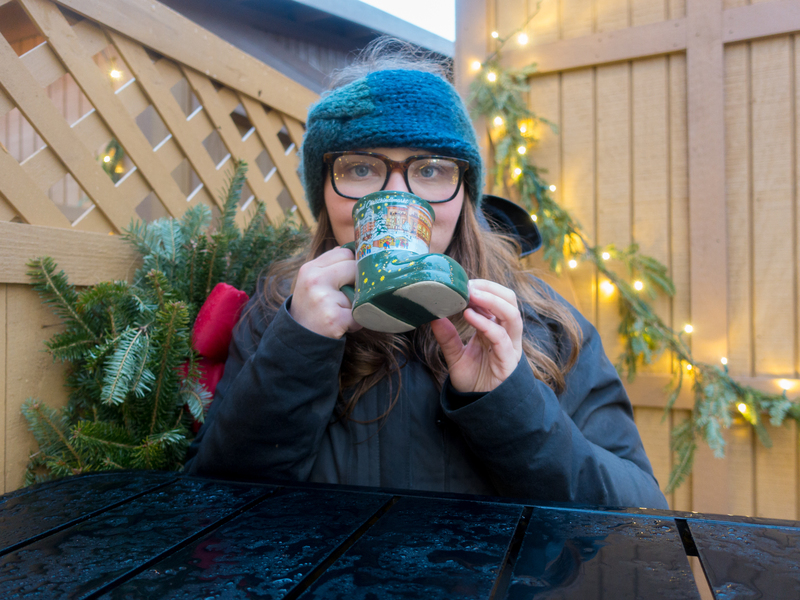 This year the Carmel Christkindlmarkt partnered with Steinbach to bring the German Glühwein Pyramide. 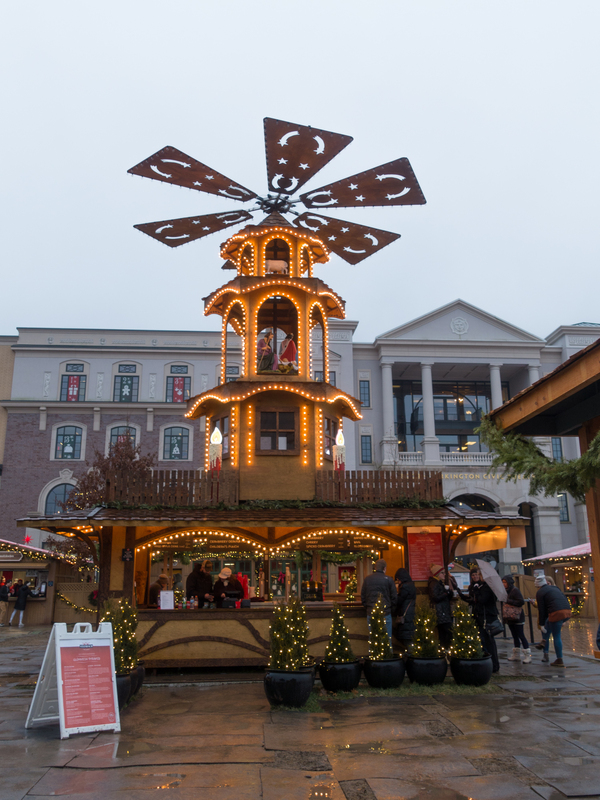 Steinbach is a celebrated German company that is well known for their world-famous nutcrackers and handmade wooden Christmas products. You can find their handcrafted items at the market. 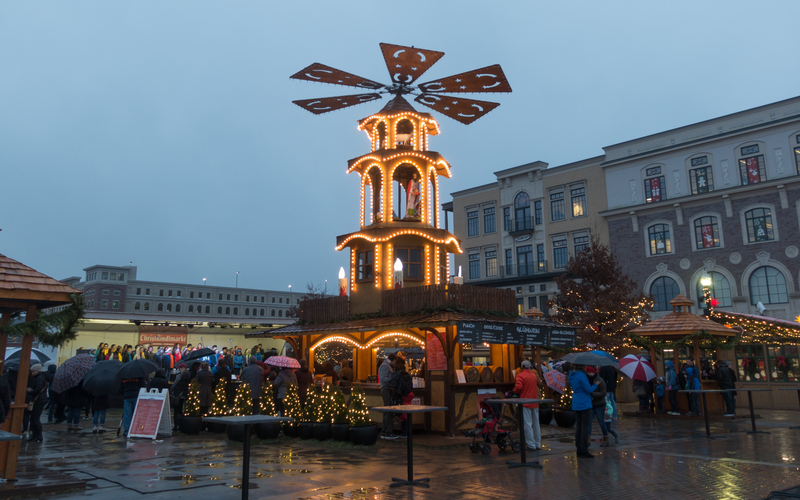 The iconic German Glühwein Pyramide is a very festive fixture in Carmel’s Christkindlmarkt. Future generations will be able to celebrate the holiday season by visiting the Pyramide. 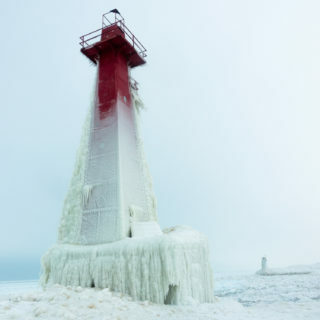 Ice skating is the perfect Christmas and winter activity. 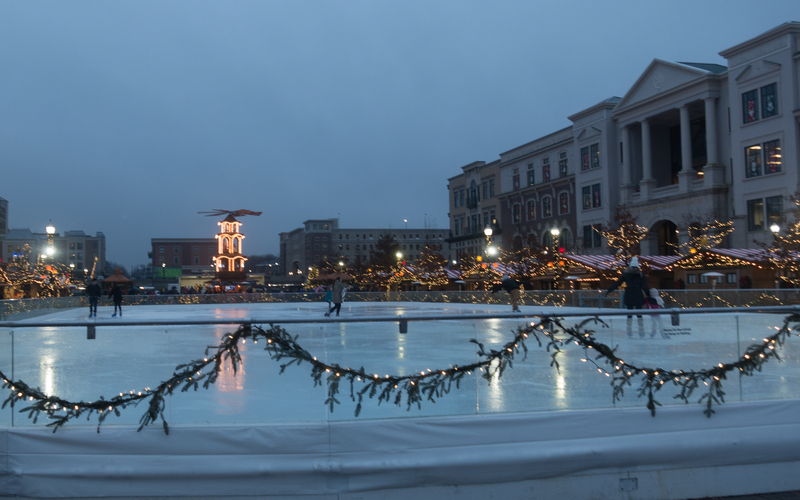 While visiting the Christkindlmarkt, be sure to schedule a time to ice skate at Ice at Center Green. Ice stating at the Ice at Center Green is available mid-November through mid-March each year. If you don’t have your own skates, you can rent them from them. Skate rental is $4 per person. 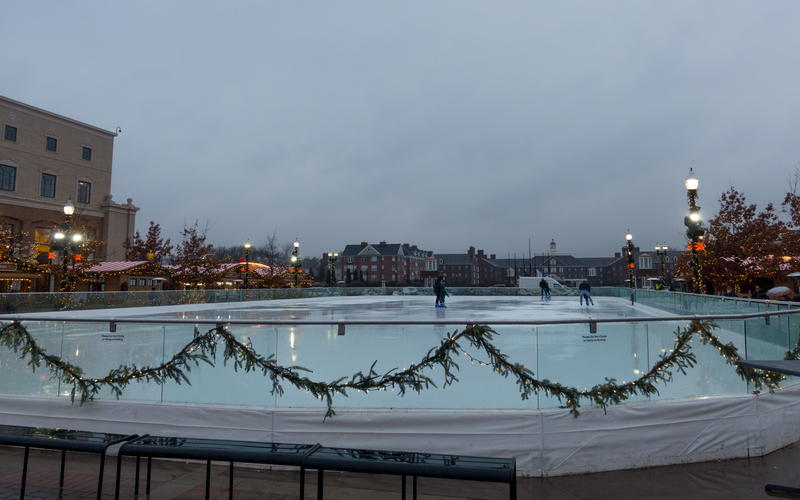 For more information about the daily schedule and when the ice skating available, check out the ice skating calendar online. 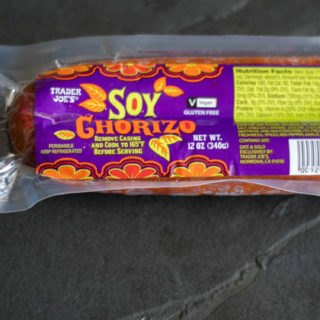 Looking for an unique store for holiday shopping? 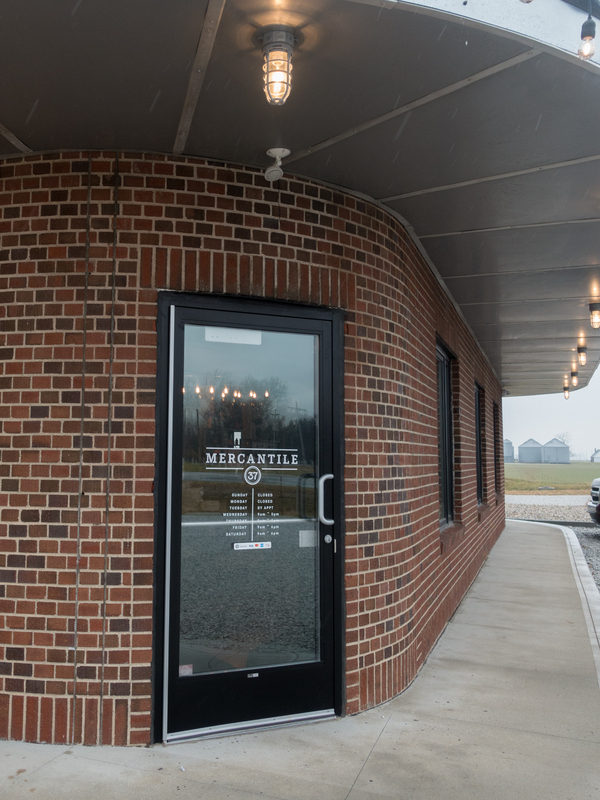 Be sure to check out Mercantile 37, located in Atlanta, Indiana. 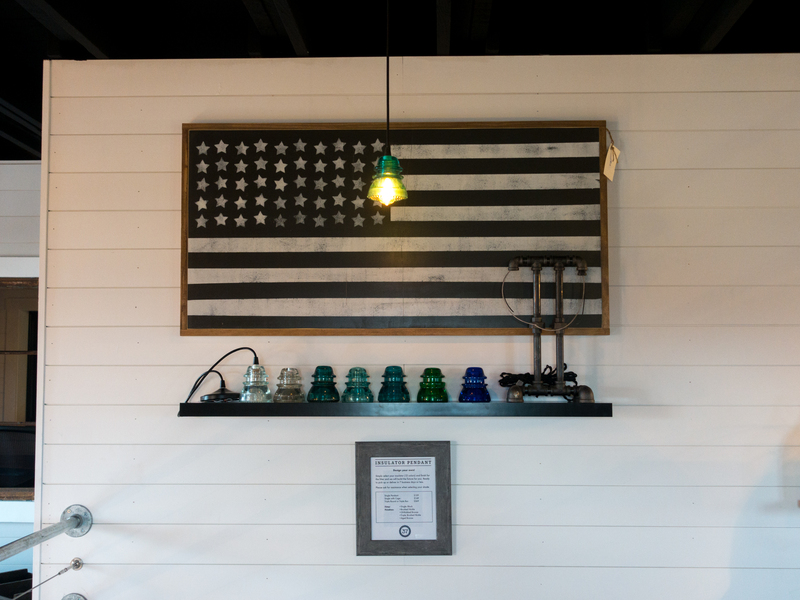 The Mercantile 37 studio and showroom features quality, custom home goods created by a collective of local makers. 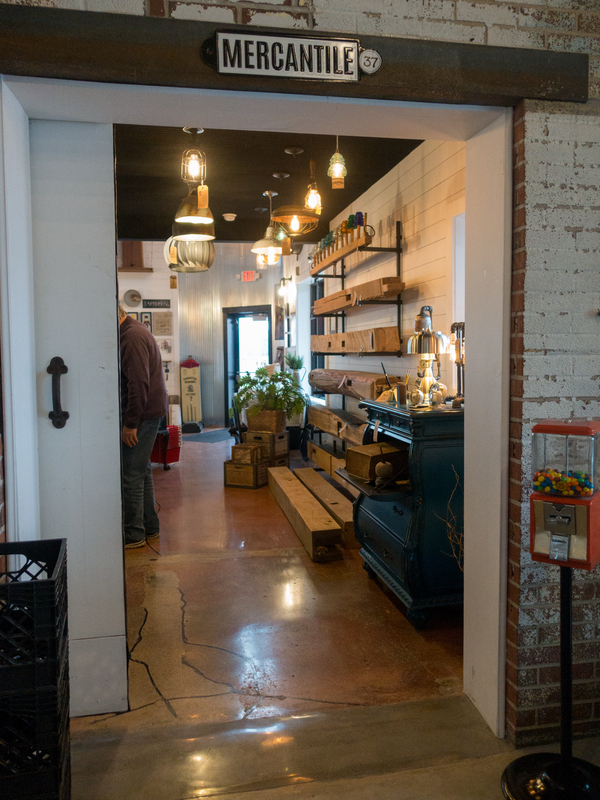 The Mercantile 37 building is full of history. 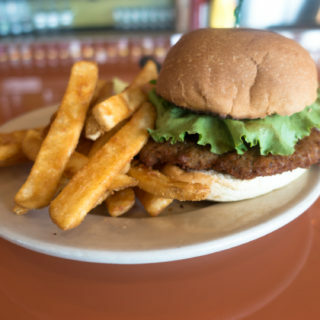 In 1940 Cecil Scott and his wife opened “Scotty’s Inn.” Scotty’s became a well-known stop for truckers, local farmers, and travelers. Scotty got out of the business and the building changed hands a few times before opening up in the 70’s as “Wheeler’s Restaurant.” The restaurant operated through the late 90’s until it shut down. 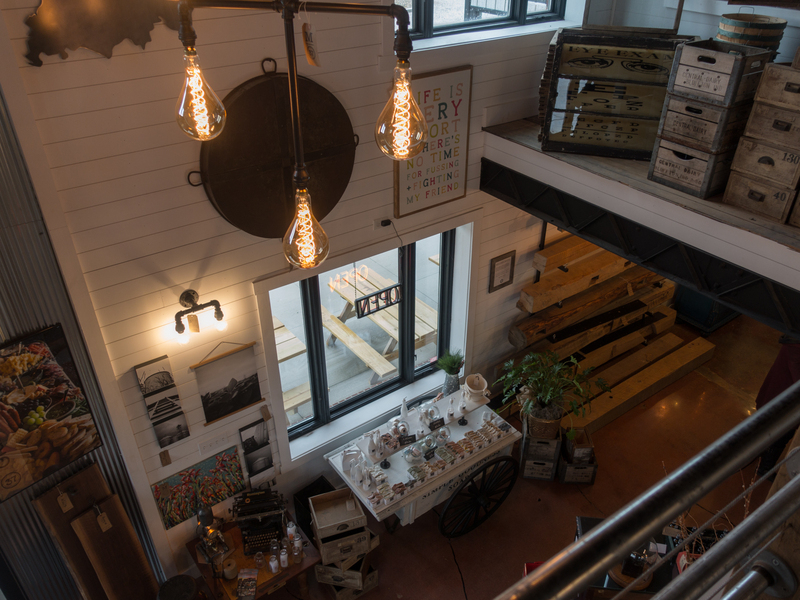 The building has been restored and now you can do your holiday shopping here. 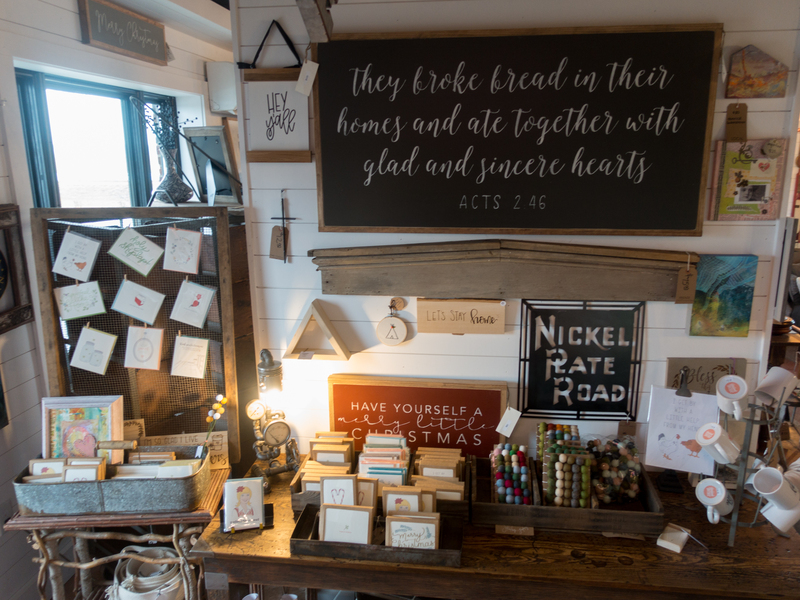 You can find so many unique and handcrafted goods here. 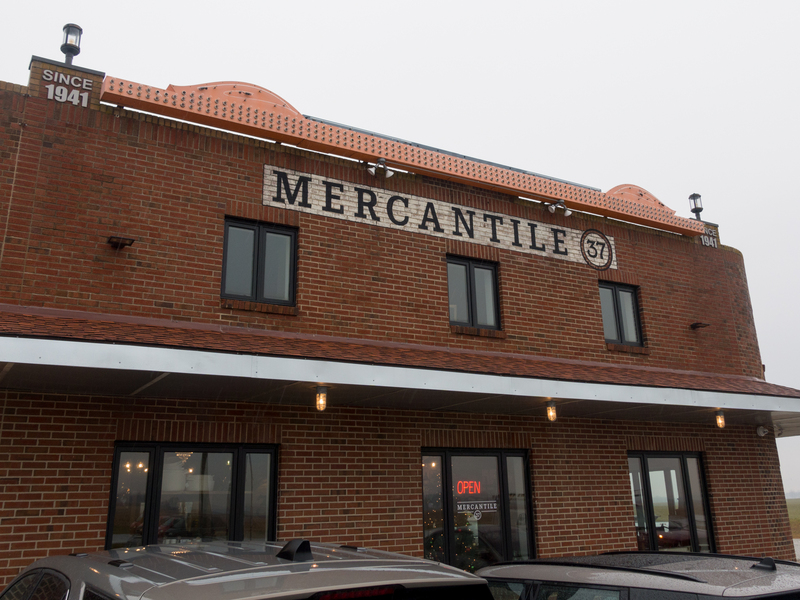 If you are looking for something unique, you’ll find the perfect item at Mercantile 37. 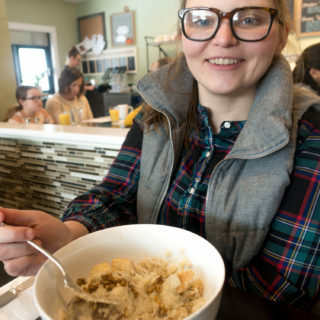 After shopping head over to Wheeler’s Cafe & Market. 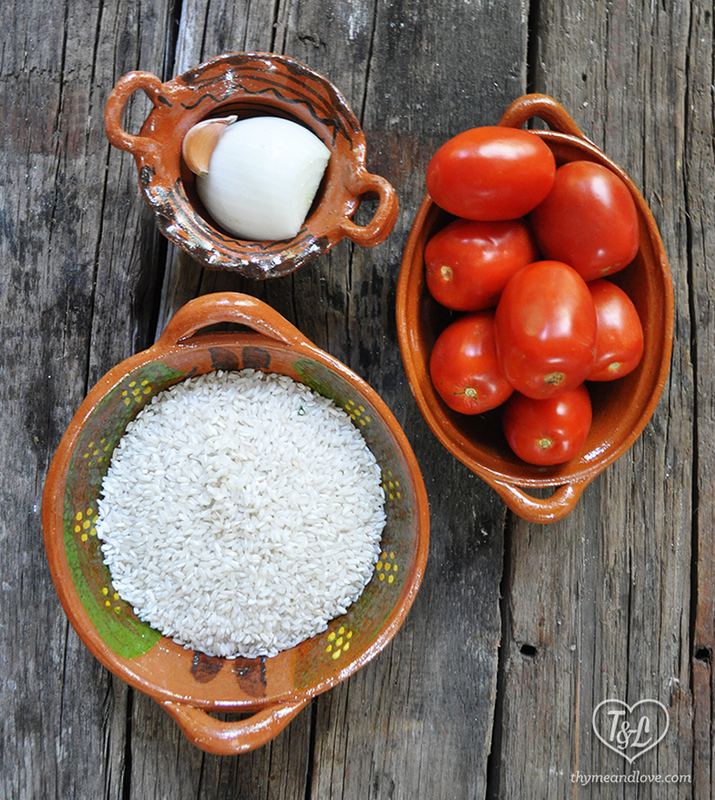 You can purchase local grown produce and goods. 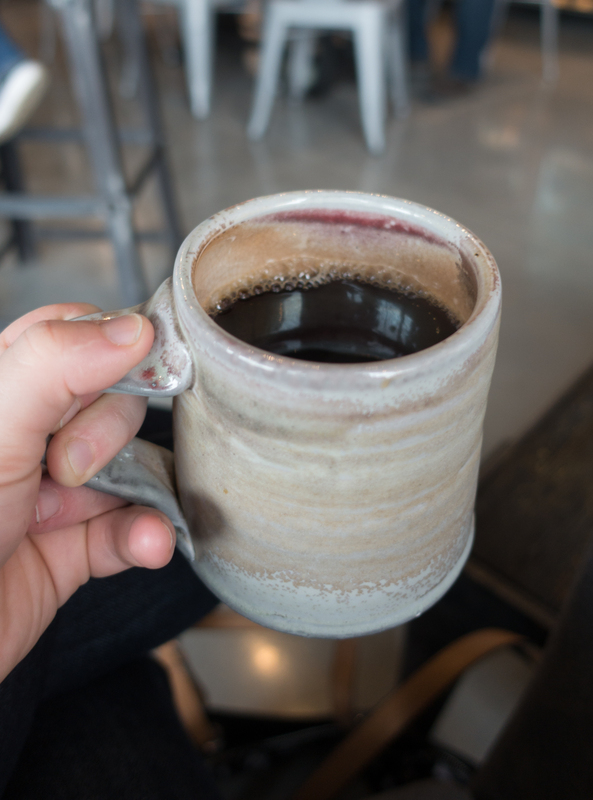 Be sure to grab a cup of coffee because it is amazing. 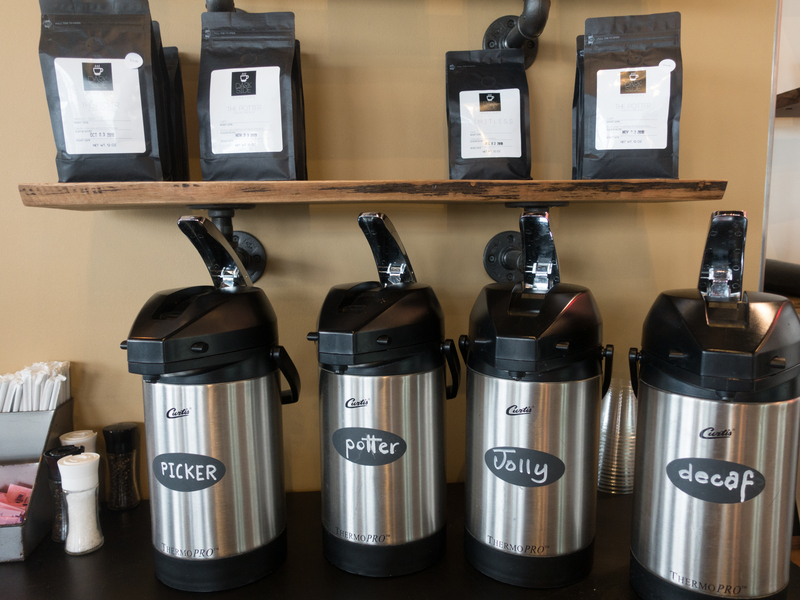 I tried two of their coffee blends and both were amazing. As someone who drinks a lot of coffee, I really appreciate a good cup of coffee. Plus, there is free refills on coffee! 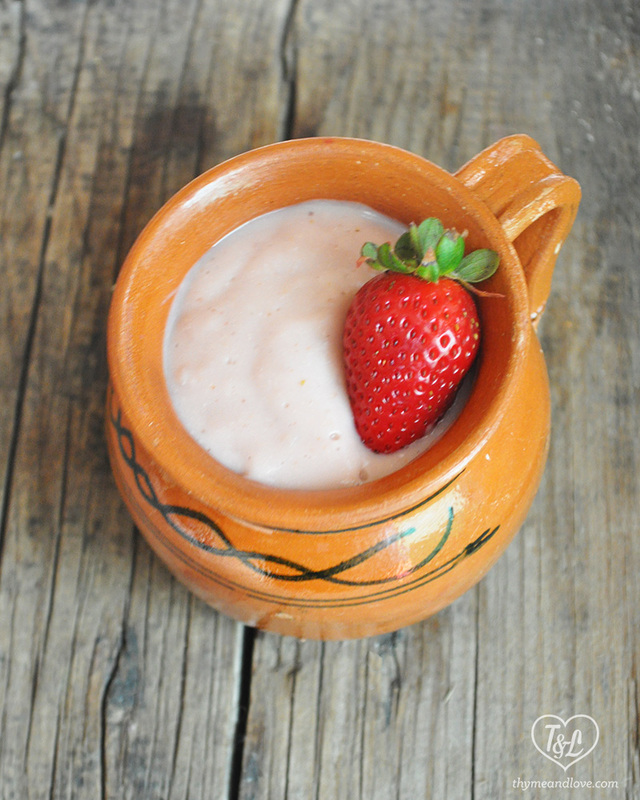 And, how cute are these hand crafted handmade mugs?! 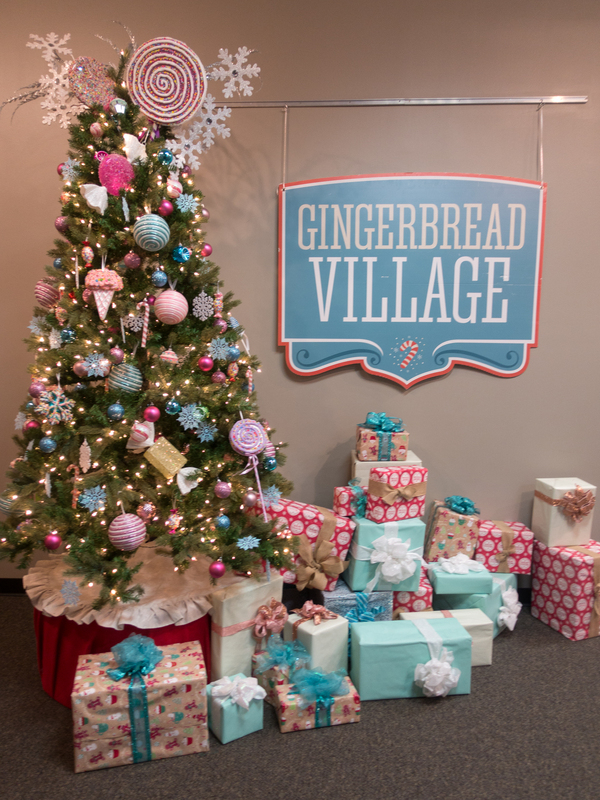 Located inside Connor Prairie, Gingerbread Village celebrates the holiday season by featuring gingerbread creations made by talented bakers of all ages. 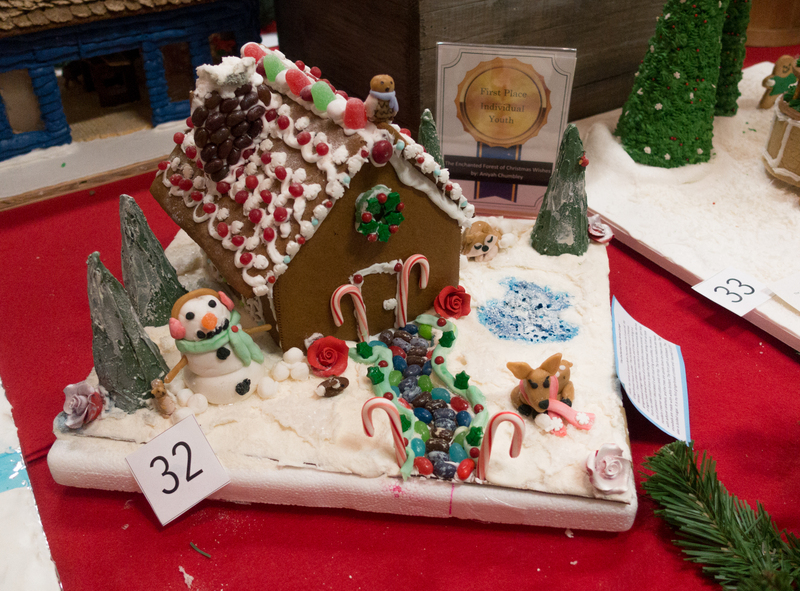 Stroll along and take in the sweet smell while admiring all the creative gingerbread houses! 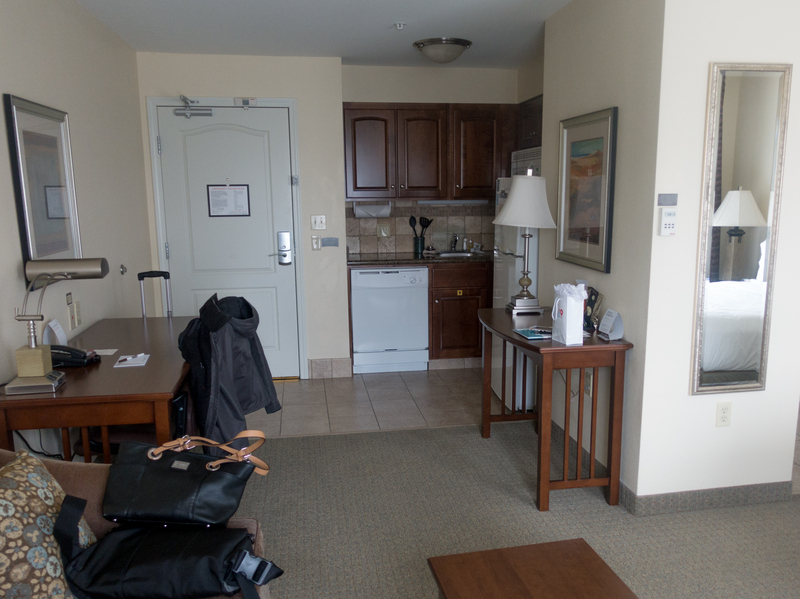 For my holiday getaway, I stayed at the Staybridge Suites Indianapolis-Carmel. 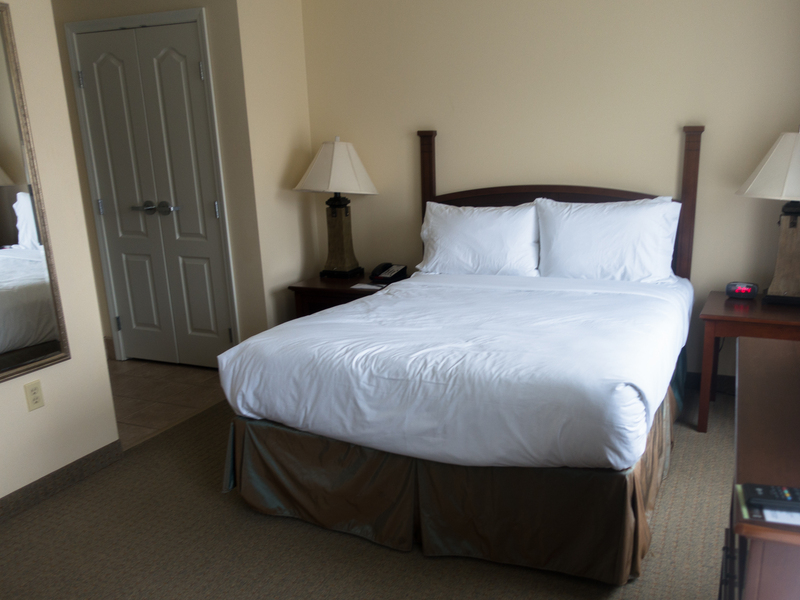 The hotel is conventional located in Hamilton County, making it the perfect hotel for your vacation to Hamilton County. The spacious suites will make any traveler feel at home. 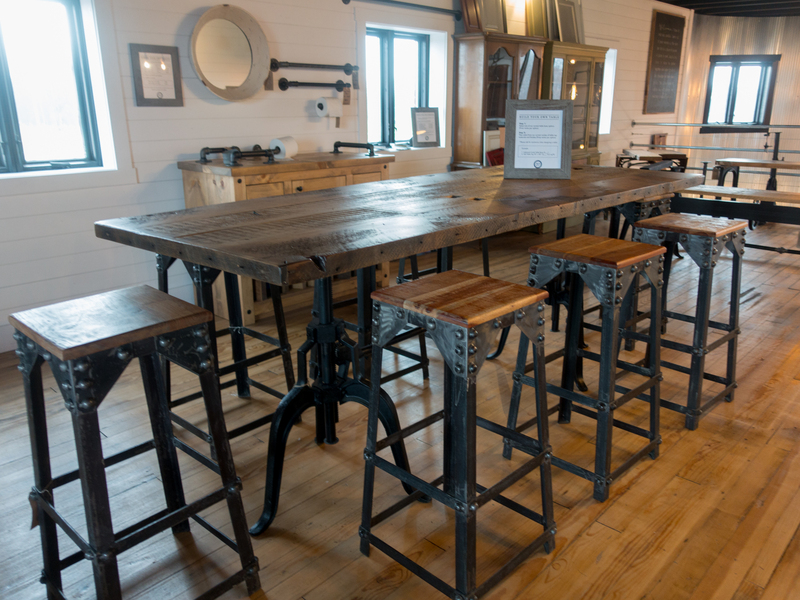 The perfect place to relax after a fun day exploring Hamilton County. 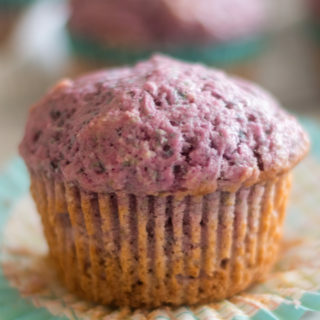 The hotel also offers free breakfast! 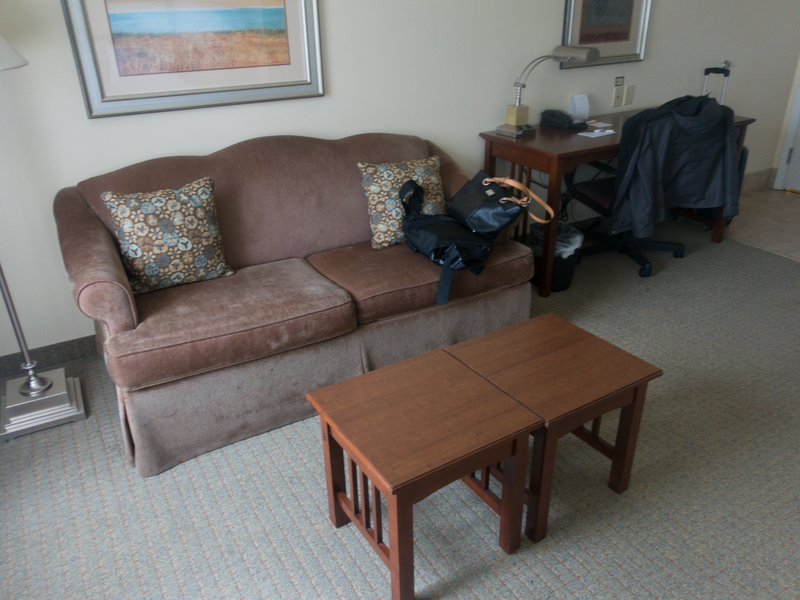 All suites include a flat screen TV, a sleeper sofa and a complete kitchen. Having a full kitchen including a refrigerator and freezer is an added bonus. I love having a kitchen available when traveling. Complimentary high-speed, wireless Internet Access is also offered to the hotel’s guests. 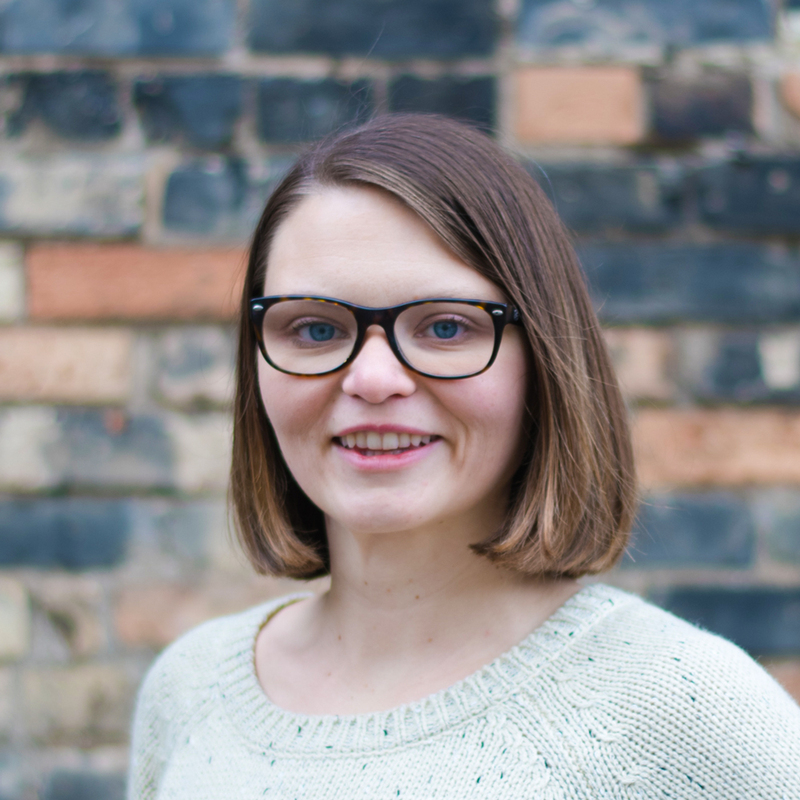 I loved visiting Hamilton County, Indiana for my holiday getaway. I had so much exploring the area and celebrating the holiday season in Hamilton County. 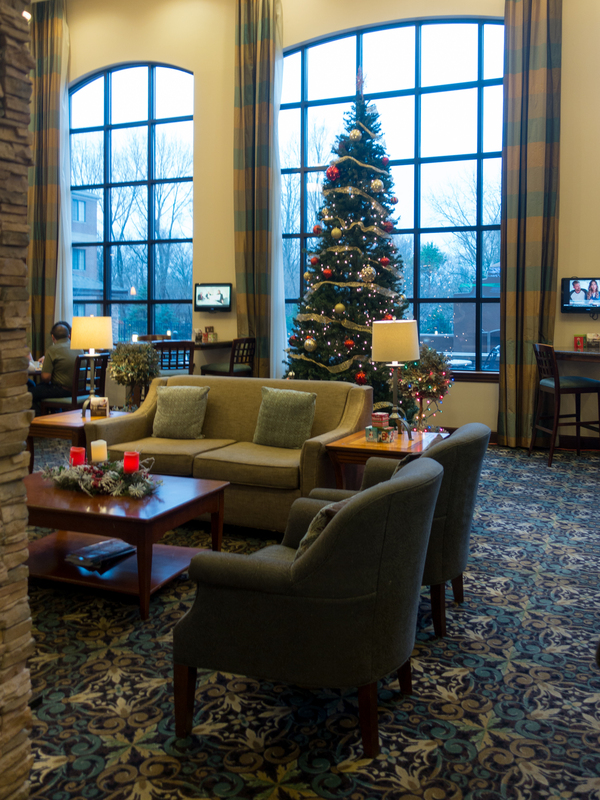 If you are looking for the perfect holiday destination in the Midwest— you’ll enjoy visiting Hamilton County. 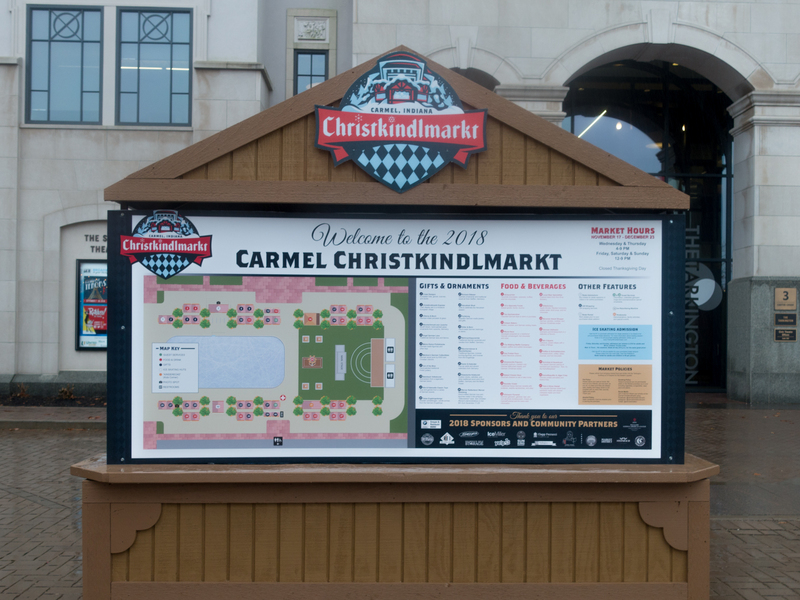 Carmel, Indiana is the perfect destination! Thank for to Visit Hamilton County for hosting me during my stay. As always, all opinions are my own. How fun! I didn’t realize there were Christmas markets so close in the midwest. I’ll have to keep that in mind for next year!